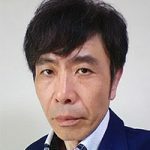 Minoru KATO is the DevOps Evangelist of NTT COMWARE CORPORATION. He has engaged in cloud technology research and development. He currently engages in cloud service and DevOps service. He was appointed to the DASA Ambassador of Japan in August 2018. The mission of the DASA Ambassador is to expand the latest skills standardized by DASA and practices and knowledge gained from the committee activities widely in Japan. He received Annual research award 2011 of the Information and Communication Management Technical Committee of IEICE. He is the Information Processing Society of Japan certified IT professional.